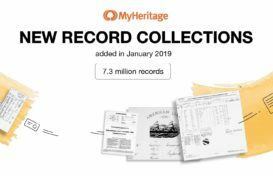 We have just added over 5 million Dutch records to MyHeritage SuperSearch™, including Birth, Marriage and Death records from the Rotterdam City Archives. Hailing from the Dutch province of South Holland, this collection represents an extremely valuable part of Rotterdam heritage from the early 19th century and on. Search the Rotterdam City Archives now! Rotterdam, Netherlands, Death Index, 1811-1960 Records typically include names, death dates, death places, spouse’s names, parents’ names, marital status, and birthplaces. Rotterdam, Netherlands, Birth Index, 1811-1913 Records typically include child’s name, parents’ names, and child’s birth date and place. Rotterdam, Netherlands, Marriage Index, 1811-1935 Records typically include names, ages, birthplaces, and parents of bride and groom, and marriage date and place. The new records cover an interesting time period in the history of Rotterdam. The second half of the 19th century was a time of great change in the city as it grew and developed into the large city it is today. A major factor for its rapid growth was the opening of the Nieuwe Waterweg or New Waterway. Built between 1866 and 1872, it connected Rotterdam port with the sea, making the city accessible to seafaring vessels. The growth had a network effect on the city; once rapid growth began, many more ports were built, and the job market expanded tremendously. Workers came from all over the world to work and live in Rotterdam. The city expanded in two ways: by annexing a number of surrounding municipalities and by beginning construction of new neighborhoods. The first wave of annexing took place at the end of the 19th century with Delfshaven (1886), Feyenoord (1869), and Kralingen (1895). From 1880-1900, the city’s population nearly doubled, growing from 160,000 to 315,000 residents. We found the 1905 Birth record for Dutch novelist Anna Blaman, a pseudonym for Johanna Petronella Vrugt, considered as an influential writer of the early 20th century. She is listed with her father, Pieter Jacob Vrugt, and mother, Johanna Karolina Wessels. Pieter Drooglever Fortuijn, listed in the 1811-1913 Birth Index, was the mayor of Rotterdam from 1928-1938 and senator from 1932-1938. Another famous citizen of the city was Antony George Kröller, who founded the national park De Hoge Veluwe and married Helene Müller. The famous Dutch Kröller-Müller museum is named for the couple. Do you have ancestors from Rotterdam? If so, this new content will bring in many new matches. You’ll receive notifications about any record in our database that matches someone in your family tree through our Record Matching technology. If an individual in your family tree connects to a branch in another MyHeritage family tree, you’ll be alerted about the Instant Discovery™ and you can choose to add the whole branch to your tree, with just one click. Our Record Detective™ will ensure that each record displays a summary of additional records and individuals in related family trees. Save records and extract information to relevant people in your family tree, or add new individuals to your tree – directly from the record. These records provide a fascinating view into the lives of Dutch people from Rotterdam from the 19th and early and 20th centuries, a time of rapid growth for the city as it became one of the largest and busiest port cities in the world. The collection is a great family history resource if you have Dutch heritage or are looking to get a better context of what life was like during those times. Start searching the Rotterdam City Archives today, and let us know what you uncover! I don’t (ethnically) need this but I’m so delighted that it’s available for those who do! Good work, guys! Big thank you!